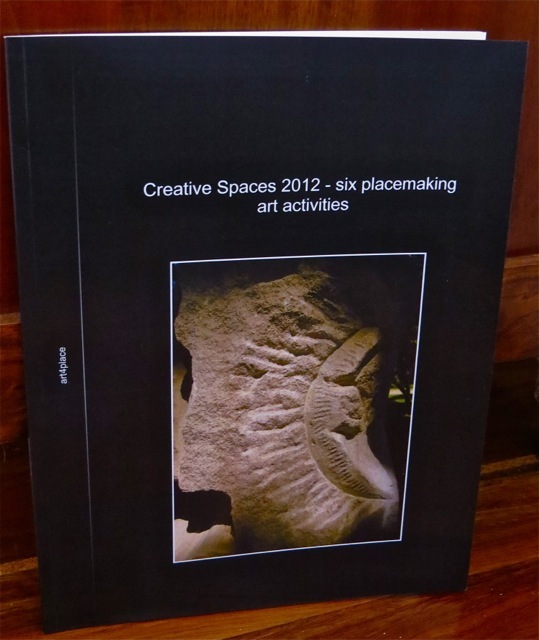 As part of the acquittal for the grant provided by the Sunshine Coast Council (SCC) for Creative Spaces 2012 Fiona Dempster created a 37 page blog book of the whole event. Shown below are the cover and a couple of openings of the book to give an idea of the quality, form and content of the book. 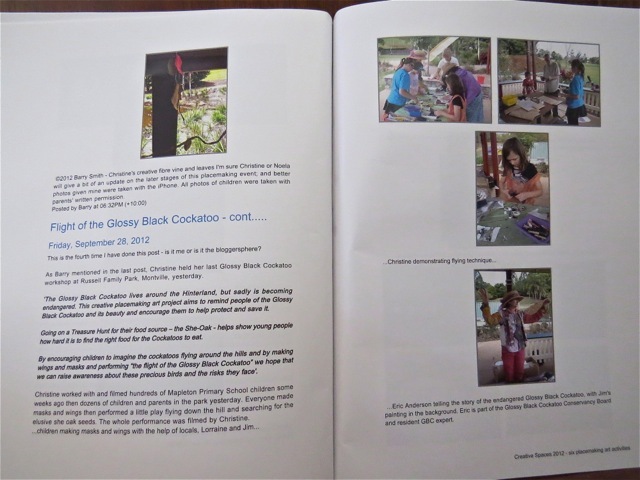 Basically the book includes the content and photos of all the blog posts that reported on the Creative Spaces 2012 event from the announcement of the receipt of the grant from the SCC right through to the last event - the art4place end of year celebration and launch of Peace in the Trees at Maleny Retreat. 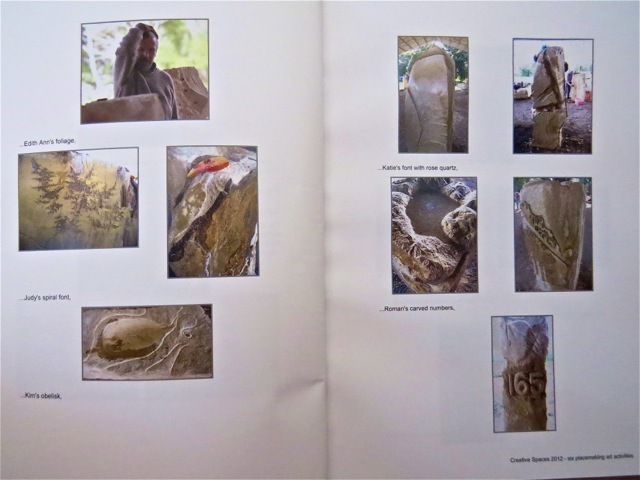 The blog book provides a great record of the event; recognises the artists who participated; and provides the SCC with a unique record for grant acquittal purposes. Well done Fiona!!! She's done a great job with this.